On the cusp of their epic battle with Shinzon, many of Captain Jean-Luc Picard's long-time crew were heading for new assignments and new challenges. Among the changes were William Riker's promotion to captain and his new command, Riker's marriage to Counselor Deanna Troi, and Dr. Beverly Crusher's new career at Starfleet Medical. But the story of what set them on a path away from the Starship Enterprise has never been told. One hundred years ago, the recurring conflicts between the Bader and the Dorset ended mysteriously when both races colonized the distant planet Delta Sigma IV -- a world located far from the destructive wars of their people -- and quickly became the Federation's perfect example of interspecies cooperation. 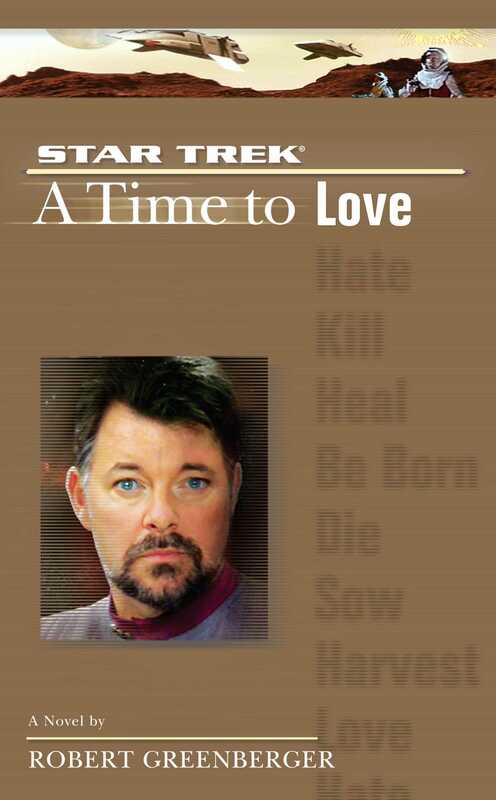 But there are now rumblings of trouble in paradise, as an investigation led by Kyle Riker -- Commander William Riker's estranged father -- into this harmonious society has discovered a shocking, immutable truth: over the next few generations, the reaction to a native gas will spell the extinction of Delta Sigma IV's inhabitants. Captain Picard and his crew, still recovering from the tragic events that have tarnished the career of one of the Federation's most decorated captains, must come to the aid of a world that once knew only peace, but now faces emerging violence and chaos...and Commander Riker must confront the reality that his own father may be held responsible for Delta Sigma IV's almost certain downfall!